I know it's the end of my pregnancy, but I just realized I never shared the fun ways we announced that we were expecting! I figured I better hurry up and share before the little one arrives!!! It could be any day now! 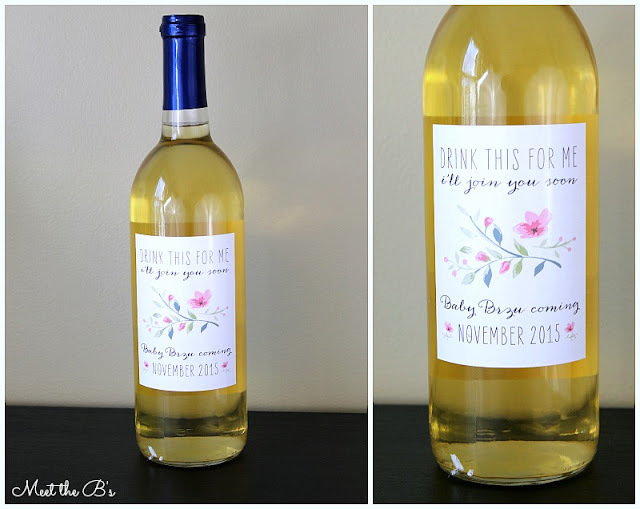 :) So here's four creative ideas for pregnancy announcements. I made this photo holder for my in-laws. 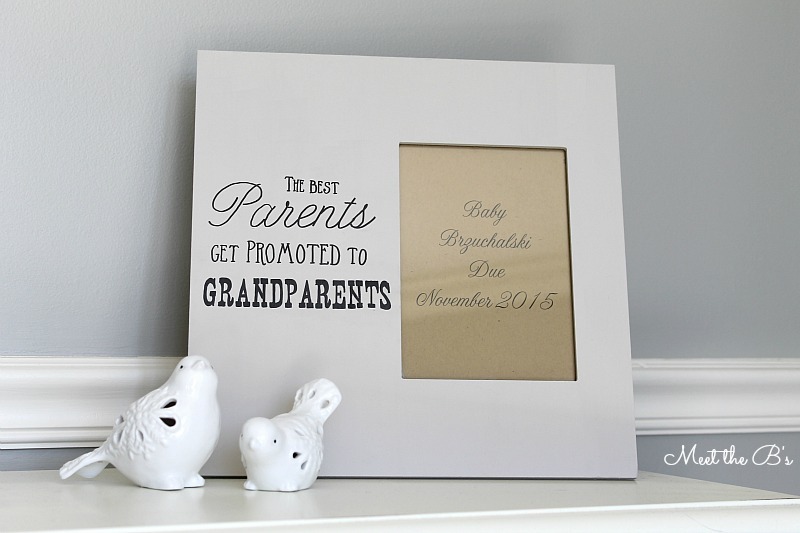 They already have five grandchildren, so I thought it would be cute to incorporate them into our announcement. I bought a wooden plaque* from my local craft store and painted it with chalk paint. 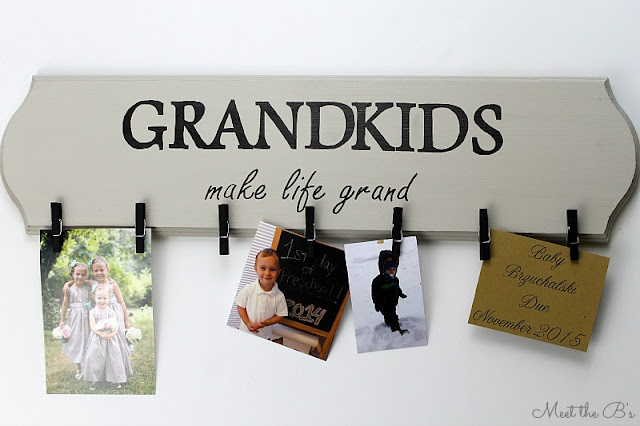 * Then I used my favorite text transfer method to write "Grandkids make life grand." I glued some picture hangers* to the back. Then, I painted mini clothespins* with acrylic paint and glued them to the plaque with super glue. I chose a photo of the three girls in their flower girl dresses from our wedding and found two cute pictures of the boys. 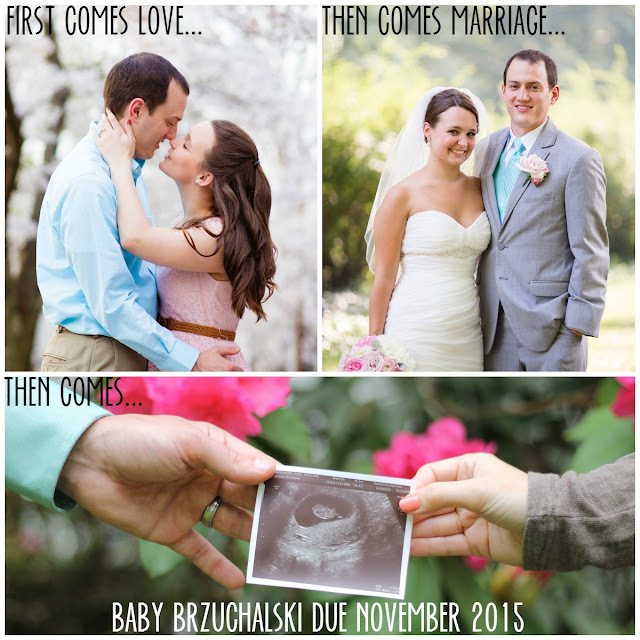 Then I added a little paper announcement to the end... "Baby Brzuchalski due November 2015!" For my parents, I painted a frame with chalk paint and used the same text transfer method to add the words "The best parents get promoted to grandparents." I printed out "Baby Brzuchalski due November 2015" and inserted it into the frame. I plan on giving them a nice picture of them with their first grandbaby to put in the frame once the little guy arrives! Unfortunately, I wasn't able to see my sister in person to tell her about her future nephew. She lives a few hours away and our schedules just weren't coordinating! So I ordered these adorable wine bottle labels* from Ten Twelve Designs and put one on a bottle of wine (remove the old label with some Goo-Gone!). I sent the bottle home with my parents and had them Facetime me when they gave it to her! She was beyond excited, and it was so cool to watch her reaction from afar! To tell everyone else, we decided to create a Facebook announcement. I created a simple collage using PicMonkey. 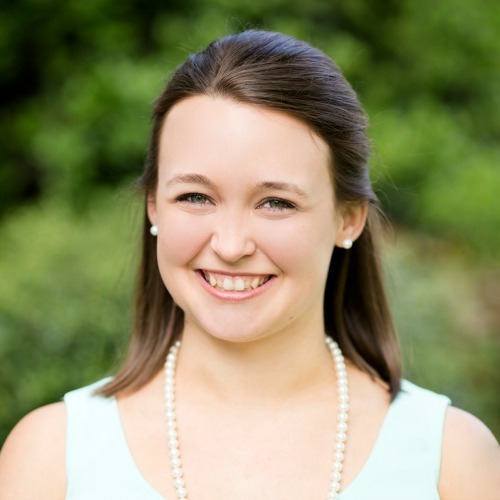 * I wanted to incorporate the saying "First comes love, then comes marriage, then comes baby in a baby carriage!" So, I used one of our engagement photos and one of our wedding photos. I grabbed some photos in the backyard of us holding our sonogram using a tripod and timer. I put them all into the collage and added our due date. I think it turned out pretty cute! We had so much fun announcing our pregnancy to our friends and family! It's fun to get creative with it!!! How did you announce that you were expecting?? 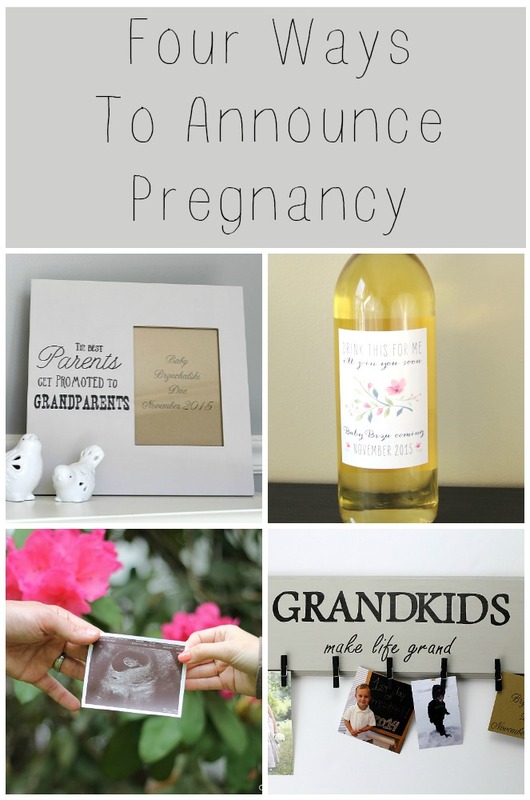 These were all super cute announcement ideas, Nicole! I wish I would have thought to do cute announcements when we were expecting. So excited to "meet" little Baby Brzu!